The Ken Coleman Show | Listen Free on Castbox. The Ken Coleman Show is here to help answer your questions about career, passion, and talent so you can maximize your potential. Do you have a question for Ken? Call us at 844-747-2577 or email ASK@KenColeman.com for a chance to be featured on the show. Pre-order The Proximity Principle: http://bit.ly/2EYouWh Caller Topics: Should I move back in order to move up? Position is being eliminated in my company. I want to move on from nursing. The Ken Coleman Show is here to help answer your questions about career, passion, and talent so you can maximize your potential. Do you have a question for Ken? Call us at 844-747-2577 or email ASK@KenColeman.com for a chance to be featured on the show. Pre-order The Proximity Principle: http://bit.ly/2EYouWh Caller Topics: Should I move on to a different field? I'm interested in too many things. Should I stay at the job I hate for the benefits? 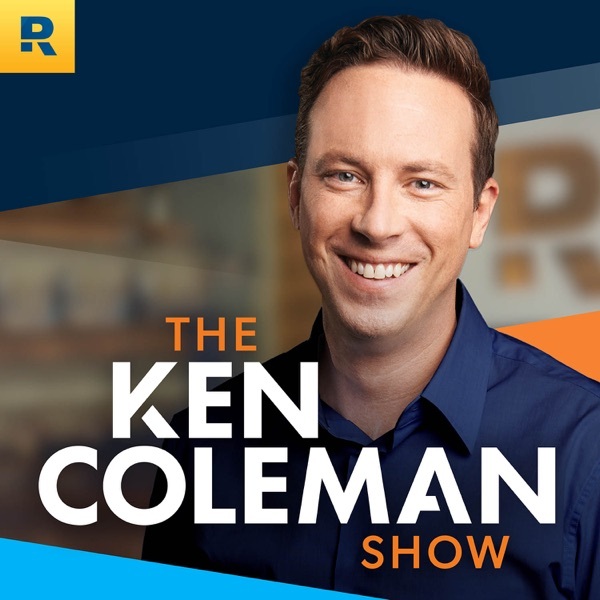 The Ken Coleman Show is here to help answer your questions about career, passion, and talent so you can maximize your potential. Do you have a question for Ken? Call us at 844-747-2577 or email ASK@KenColeman.com for a chance to be featured on the show. Pre-order The Proximity Principle: http://bit.ly/2EYouWh Caller Topics: Stay at home mom looking for my next job. Should I leave my job if there is a lack of growth potential? How to narrow down my sweet spot. The Ken Coleman Show is here to help answer your questions about career, passion, and talent so you can maximize your potential. Do you have a question for Ken? Call us at 844-747-2577 or email ASK@KenColeman.com for a chance to be featured on the show. Pre-order The Proximity Principle: http://bit.ly/2EYouWh Caller Topics: How to work The Proximity Principle in a new location? Which job offer do I take? Do I start my own company or go back to work for someone else? The Ken Coleman Show is here to help answer your questions about career, passion, and talent so you can maximize your potential. Do you have a question for Ken? Call us at 844-747-2577 or email ASK@KenColeman.com for a chance to be featured on the show. Pre-order The Proximity Principle: http://bit.ly/2EYouWh Caller Topics: I lost my job on the path to the dream job. Am I in the right role but the wrong place? Go back to school or not? The Ken Coleman Show is here to help answer your questions about career, passion, and talent so you can maximize your potential. Do you have a question for Ken? Call us at 844-747-2577 or email ASK@KenColeman.com for a chance to be featured on the show. Pre-order The Proximity Principle: http://bit.ly/2EYouWh Caller Topics: What direction to take after moving? Looking for confirmation on my sweet spot. Do my career ideas align with my sweet spot? The Ken Coleman Show is here to help answer your questions about career, passion, and talent so you can maximize your potential. Do you have a question for Ken? Call us at 844-747-2577 or email ASK@KenColeman.com for a chance to be featured on the show. Pre-order The Proximity Principle: http://bit.ly/2EYouWh Caller Topics: 35 and stuck in a job I hate. When to ask about policies in the hiring process. My head and heart are conflicting about work. Move or stay where I already have connections? The Ken Coleman Show is here to help answer your questions about career, passion, and talent so you can maximize your potential. Do you have a question for Ken? Call us at 844-747-2577 or email ASK@KenColeman.com for a chance to be featured on the show. Pre-order The Proximity Principle: http://bit.ly/2EYouWh Caller Topics: How to network the right way. Looking for my sweet spot career. Should I take a new job or wait until I move? Should I change jobs now that I'm out of debt? The Ken Coleman Show is here to help answer your questions about career, passion, and talent so you can maximize your potential. Do you have a question for Ken? Call us at 844-747-2577 or email ASK@KenColeman.com for a chance to be featured on the show. Pre-order The Proximity Principle: http://bit.ly/2EYouWh Caller Topics: Is this really my purpose? Should I expand my side hustle? Is real estate my sweet spot? Struggling with connections on my resume? The Ken Coleman Show is here to help answer your questions about career, passion, and talent so you can maximize your potential. Do you have a question for Ken? Call us at 844-747-2577 or email ASK@KenColeman.com for a chance to be featured on the show. Pre-order The Proximity Principle: http://bit.ly/2EYouWh Caller Topics: Looking for confirmation on a job offer that it is in my sweet spot. How to move on after 20 years in the same industry. Moving from business owner to employee. LOVE the content!! Although I find it hard to listen to ONLY because the sound is weird. All "s" sounds are ear piercing 😖. Not sure if it's a sound problem on my end or if Ken is talking too close to the microphone. Love this episode. Great insight for raising strong emotionally health kids. Kennedy Ogeto Me too. Every time I call my Dad, he answers, "Hey Beautiful." He's a monumental supporter, mentor and encourager to me! I want to be like my dad! His impact seems to be more foundational now (in my 30s) than before. And I didn't 'grow up' WITH him, yet I have always loved him (he's my dad!). Ken, you are gifted by God to ask and tease out the hidden talents and passions. Then love the way you link it with possible and available jobs in the market. I listen to you on the way to work. Perfect, I practice it on myself and my colleagues. I go in different from my colleagues. I am changed, thank God.